This Miami Herald editorial is a fantastic example of the Agenda Media pretending to be thoughtful journalists and policy experts. I’ll be blunt. The Miami Herald is neither. They’re a pro-Obamacare cheerleader. That was obvious when they said “On the one hand, Republicans in Congress want to scrap Obamacare, simple as that. On the other, Mr. Trump now says he wants to keep the part of the law that prohibits insurance companies from discriminating against people with pre-existing conditions. And he also likes the provision that allows parents to keep grown children on their policies until the age of 26.” It doesn’t require a rocket scientist to figure it out that some parts of the ACA are popular, even worthwhile. Likewise, it doesn’t require a rocket scientist to figure out that some provisions in the ACA are counterproductive. For instance, the provision that provided for annual bailouts of insurance companies should’ve been a giant red flag that the ACA would bankrupt the insurance companies without that provision. Another provision eliminates risk as a factor for determining premiums. What idiot thinks it’s possible for insurance companies to sell health insurance to the 60-year-old guy who’s had 3 heart attacks at the same price as the 30-year-old guy whose biggest medical bill came when he scraped his knee on the playground when he was in fifth grade? Salvaging this and other essential provisions while scrapping Obamacare would be the legislative equivalent of squaring the circle. There is no clear path to “repeal and replace” because Republicans have never bothered to sit down with Democrats to figure out how to improve the law that everyone, including President Obama himself, concedes is far from perfect. Actually, this isn’t that complicated. Here in Minnesota, we had a fantastic system until the ACA shredded that system. To keep premiums low and insured rates high while making sure that people with pre-existing conditions got insurance, Minnesota set up a high-risk pool. People with pre-existing conditions bought insurance that was subsidized on a sliding scale. The less you made, the more the insurance was subsidized. In 2007, Minnesota’s effective insured rate was 96.5%. Because these high-risk people were separated from the healthier people, the healthier people’s health insurance premiums were significantly lower than they are today. Its essential functions are working as intended. More than 16 million Americans have gained health insurance. A new study by Jonathan Gruber, one of the Affordable Care Act’s (ACA) chief economic architects, suggests that roughly two-thirds of new Medicaid enrollees in 2014 were eligible for the program under previous state eligibility criteria—meaning that they were not made eligible by the ACA. If accurate, then a much smaller share of new Medicaid enrollees were made eligible for the program by the ACA than Washington experts commonly believe. More people signed up because the application process got streamlined prior to the ACA’s passage. That’s proof that the Democrats’ fearmongering has already started. Republicans just need to do what’s right and things will work out fine for them. Rep. Tim Ryan, (D-OH), has run an aggressive campaign against Nancy Pelosi. Whether he wins (odds are against him winning) or not, Rep. Ryan has highlighted what political analysts have known for eight years: that the Democratic Party isn’t a healthy, thriving national party. Democrats are making the mistake of thinking their problems are identity-based. They aren’t. Their problems started multiplying when they went exotic. First, it was the anti-war protests. Next, it was Occupy Wall Street, aka OWS. After that, they worshipped at the altar of Black Lives Matter. Periodically throughout their demise, Democrats told the American people that climate change was a bigger threat to national security than al-Qa’ida, then ISIS. It isn’t surprising that people in America’s heartland took one look at Democrats and determined that Democrats are nuts. Nancy Pelosi is the perfect leader for such a political party. This patronage system has helped Mrs. Pelosi build support among the Congressional Black and Hispanic caucuses, which will make up an estimated 70 of the 194 Democrats seats next year. Democrats also don’t have term limits for committee chairs, which has frozen young members out of influence. All of this has magnified the caucus’s insularity and its swing to the political left. Democrats won the House in 2006 by recruiting moderates to run in competitive districts. Mrs. Pelosi then forced them to walk the plank on the stimulus, cap and trade and ObamaCare. The centrist Blue Dog coalition has lost three-fourths of its Members since 2010. This morning on CNN’s New Day, Rep. Debbie Dingell sang Pelosi’s praises, insisting that she’s a great listener and that she’s helped unify the Democratic Party. 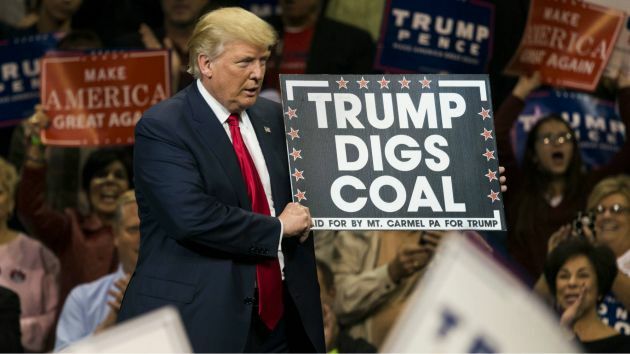 The Democrats are unified in the sense that the only ones left are the Black Lives Matter wing of the Democratic Party and wholly-owned subsidiaries of the environmental activist wing of the Democratic Party. Debbie Greenberger, an attorney for the Stein campaign, said she was uncertain whether their side would appeal but said she hoped county clerks would heed the judge’s praise for a hand recount. Fat chance with that. A hand recount would be lengthy. A machine recount would be significantly faster. The Stein recount ‘machine’ just broke down. 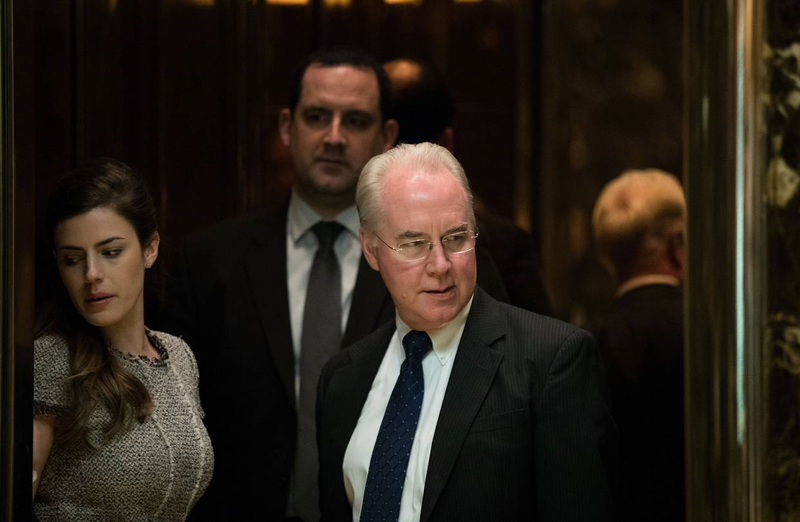 Price likely will get lots of criticism from Democrats during his confirmation hearing because he’s written legislation that would repeal and replace Obamacare. Dr. Price won’t have a problem with these criticisms and will likely have some sharp responses to the Democrats’ criticism. PORTAGE LA PRAIRIE, Man. – A Manitoba indigenous chief says there’s a desire for action – which could include blockades of Canadian pipelines and railways – in support of a protest against a North Dakota pipeline project. Grand Chief Terry Nelson of the Southern Chiefs Organization says chiefs and others attended a meeting Saturday at the Dakota Tipi First Nation near Portage la Prairie to discuss how to react if the U.S. government clears demonstrators from a camp occupied by the Dakota Access pipeline protesters. Nelson says one option includes blocking access to pumping stations along a pipeline operated by Enbridge, which has plans to acquire a stake in the U.S. pipeline project. After the meeting, Dakota Tipi members held a pipe ceremony on the Trans-Canada Highway near Portage la Prairie, Man., temporarily blocking a lane of traffic. The thing to keep in mind about these protests is that they aren’t about stopping global warming or the environment. The DAPL got all of its permits before starting construction. They did what the government required them to do. These protesters are part anarchist, part fascist, part authoritarian. Their respect for the rule of law is virtually nonexistent. That’s clear considering the fact that the company that’s building the DAPL has been attacked daily. These anarchists are violent, too. It’s time to tighten up laws, too. Environmentalists convicted of committing violence should be imprisoned for a mandatory 5 years and fined $10,000 if they’re caught protesting on pipeline property. Let them know that there’s a price they’ll have to pay for disrupting legally permitted things. 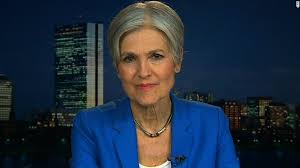 Jill Stein insists that her petition for a recount in Pennsylvania and Wisconsin is being done for the noblest of reasons. In this article, Stein is quoted as saying “We need peace of mind about our voting system in this election and going forward.” She reportedly said this with a straight face. It isn’t that we don’t “need peace of mind about our voting system in this election and going forward.” It’s that Stein’s requests are based on assumptions, hunches, a little incompetence and tons of litigation. The tons of litigation comes partly from Dr. Stein’s missing Pennsylvania’s recount deadline. Part of the litigation comes from the fact that Stein didn’t get her way in Wisconsin. The litigation is also partly because of her campaign’s incompetence. Dr. Stein’s incompetence is highlighted by the fact that she didn’t follow Pennsylvania’s recount laws. Whether she thought the laws didn’t apply to her or whether they just missed the deadline, the indisputable truth is that Dr. Stein missed Pennsylvania’s deadline. That’s the least of Dr. Stein’s problems. Speculation increases as to why Mrs. Clinton would join such a haphazard recount operation. Whatever her reasons are for joining, though, they aren’t helping her image. She’s acting like a spoiled brat who doesn’t like losing. Republicans would like to pretend that they can therefore preserve the first leg while getting rid of the other two, as witnessed by Trump’s recent statements praising the insurance protections in the law. But this cannot be done. If you tell insurance companies that they can’t discriminate and allow individuals to wait until they are sick to buy insurance, then insurance companies will lose money. Insurers will rightly be afraid that individuals will wait until they are sick to show up to buy insurance, and as a result insurers will either exit the market or charge very high prices to protect themselves. Actually, Republicans don’t have to go that direction. Minnesota’s high risk pool prevented Dr. Gruber’s scenario. Rather than implementing a mandate, Minnesota simply subsidized people with pre-existing conditions when they bought health insurance. The insurance companies got paid and they didn’t have to worry about Dr. Gruber’s scenario. No. All the GOP replacement plans protect them but not through the cynical, coercive scheme that Obamacare used. Obama forced two groups of people into the same insurance pool: the healthy and the chronically ill. Healthy people would pay premiums but never meet their sky high deductibles. Instead, their premiums would foot huge medical bills for the chronically ill, who consume 10 times as much medical care. Healthy people saw it was a scam. They refused to sign up, despite the penalty. Obamacare architect Ezekiel Emanuel says forcing the healthy to enroll is essential. Sorry. There’s a fairer way. Trump would allow insurers to charge ill people more then subsidize these ‘high risk’ customers with taxpayer dollars. That spreads the cost fairly over the whole population, instead of burdening people in the individual market. Voilà, premiums and deductibles will drop fast for people in the individual market. Healthy people would pay premiums but never meet their sky high deductibles. Instead, their premiums would foot huge medical bills for the chronically ill, who consume 10 times as much medical care. Healthy people saw it was a scam. They refused to sign up, despite the penalty. The architects of the ACA are scrambling to protect their ‘accomplishment’ rather than considering doing what’s right. The important point in this is asking a simple question: why should we trust the people who told us that we could keep our plans and our doctors if we liked them? They’ve lied before. It’s foolish to think that they suddenly became honest now that they’re leaving office. After Donald Trump’s victory, there’s been a noticeable outbreak of bipartisanship from red-state Democratic senators. While outgoing Senate Democratic Leader Harry Reid (Nev.) didn’t want Democrats to work with vulnerable Republicans ahead of the 2016 elections, his heir apparent Sen. Charles Schumer (D-N.Y.) is signaling a willingness to let his members do what they need to do to survive in the next Congress. TRANSLATION: Sen. Schumer has seen the 2018 electoral map. It frightens him. He’s willing to momentarily retreat if it’ll prevent a bloodbath for Senate Democrats. The thing for Republicans to highlight is whether this cooperation leads to bills getting to President Trump’s desk for his signature. 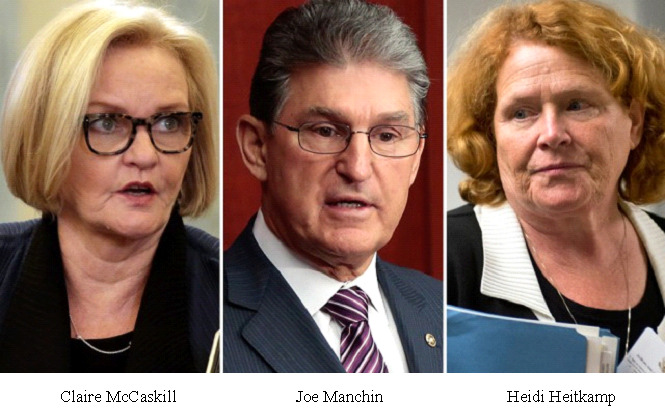 If Sen. Tester works with President Trump on the deficit but doesn’t work with Sen. Heitkamp on regulatory reform and on repealing Obamacare, then we know that Democrats are playing procedural games. The litmus test for Republicans should be whether Democrats will work with President Trump on Obamacare’s replacement. If there aren’t blocks of Democrats willing to repeal and replace the ACA, then it’ll be clear that Democrats aren’t really interested in productive bipartisanship. The minute that Donald Trump and the Republicans set their sights on repealing the ACA, the Democratic fearmongering machine jumped into operation. This morning, the NY Daily News published this op-ed written by ACA architect Jonathan Gruber. It’s time to explode that myth. Here in Minnesota, families are considering the option of not buying health insurance because their premiums plus deductibles would exceed $50,000 this year. They’re considering this option because their premiums alone will be $40,000 in 2017. 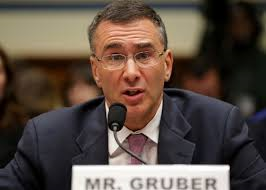 The myth that Dr. Gruber is propagating is that the Affordable Care Act is affordable. It isn’t affordable. It’s anything but affordable. It’s a rip-off. Now that that myth has been exploded, it’s time to understand that replacing the ACA gives people the opportunity to replace it with something better. Minnesota’s high risk pool helped people with pre-existing conditions get affordable health care. There’s no reason for states not to implement high risk pools. To do so, the ACA set up a “three legged stool”: banning discrimination by insurance companies; creating an individual mandate to bring the healthy into the insurance pool; and providing subsidies to make health insurance affordable. The problem Republicans face is that the first leg is highly popular, the second leg is unpopular, and the third leg involves federal spending which the Republicans would rather direct to tax cuts for the wealthy. 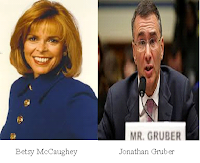 High risk pools essentially end insurance companies denying people with pre-existing conditions coverage, thus eliminating that part of Dr. Gruber’s argument. The individual mandate hasn’t worked. Young people are paying the penalty rather than buying insurance policies they can’t afford. As for the part about “Republicans would rather direct to tax cuts for the wealthy”, that isn’t worth responding to other than saying that it’s a contemptible statement that isn’t based in anything other than fearmongering.